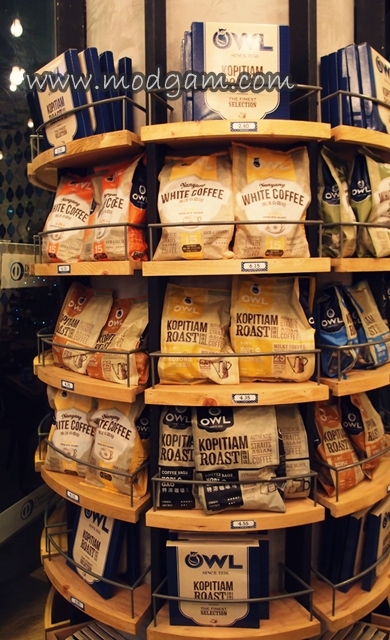 I am sure we are no stranger to Owl’s instant coffee blends for they have been a leading local coffee brand for a very long time. 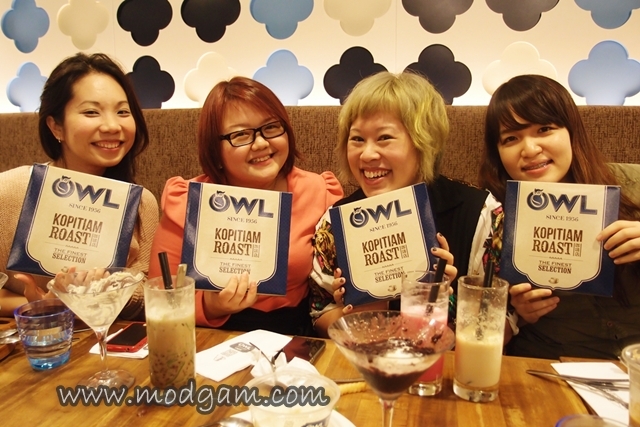 This is Owl’s first concept café and I am happy to be invited for food tasting! The ambience is kinda raw and arty. 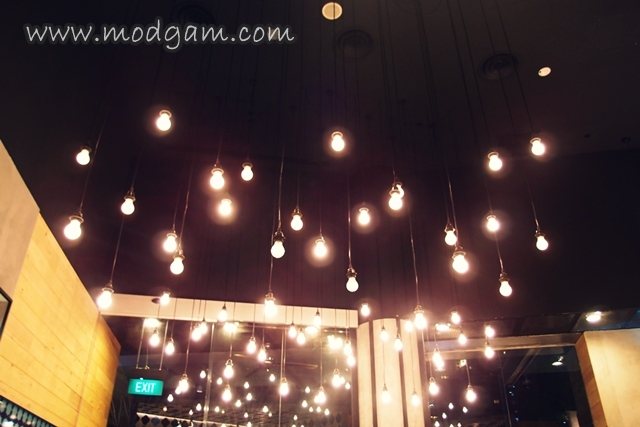 Love the many light bulbs hanging and the raw cement floor. 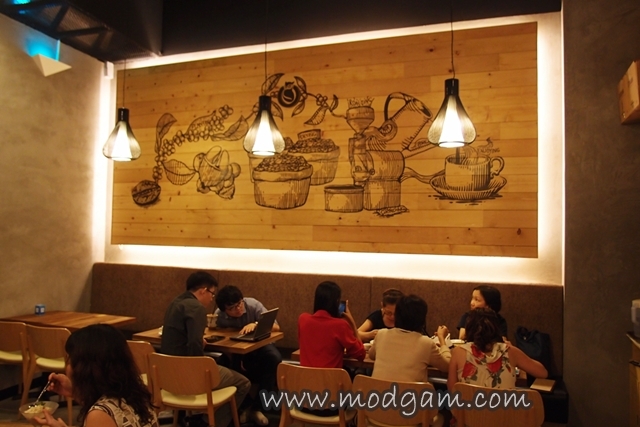 Running through the menu I am tempted to try the various blends of their authentic Straits Asian-inspired coffee and Straits Asian delicacies with a modern twist. I love fusion food for there is something intriguing where East Meets West and I am pretty excited now to get my tummy rolling. By the way, food served here is halal and I’ll get to enjoy feasting with my Muslim friends. 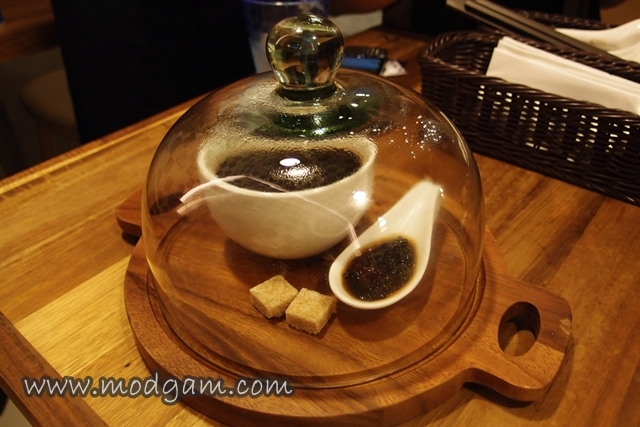 100% Authentic Kopi Luwak – Civet coffee served with coffee caviar! Yes, you read right! CAVIAR! Definitely one of the most expensive looking coffee I know. Instead of serving coffee with biscotti or bread, the chef decided to up the level and serve it with caviar instead. This caviar is to be eaten on its own and not adding them into the coffee. Refreshing and very creative don’t you think? 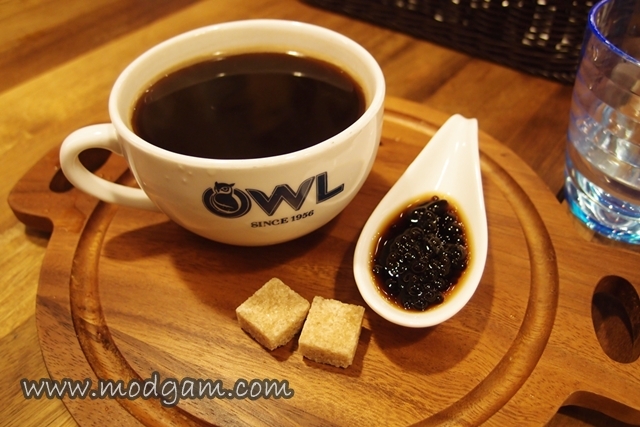 Try testing the coffee on its own before adding the sugar and then after adding. SUPERB! Hae Chor Salad with Oriental Dressing – bite-sized crispy prawn rolls. 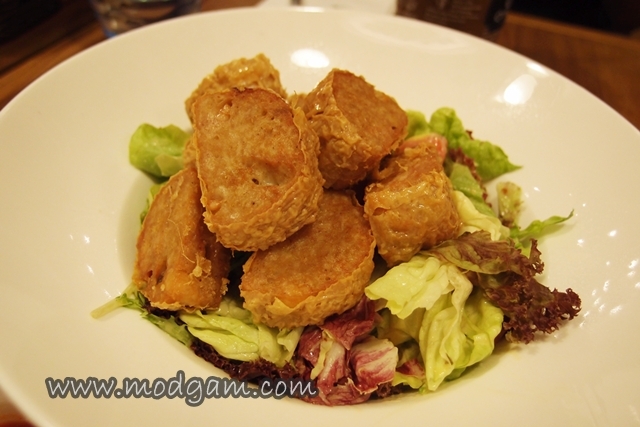 We don’t usually eat this dish with salad and its so refreshing and the crispy prawn rolls with the crispy lettuce tasted very good together. 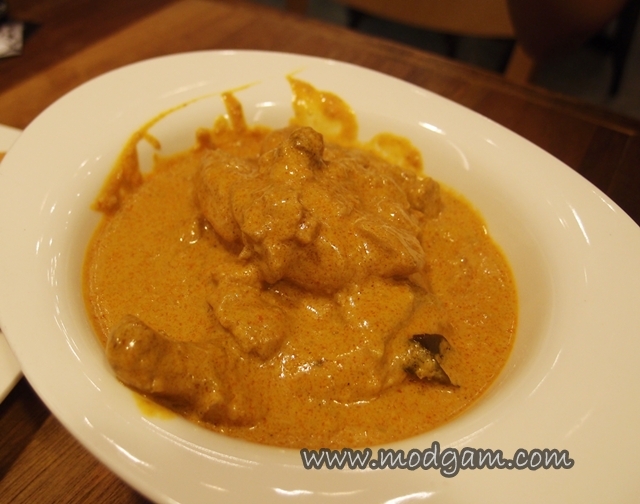 Hainanese Curry Chicken – served with a choice of bread or rice. 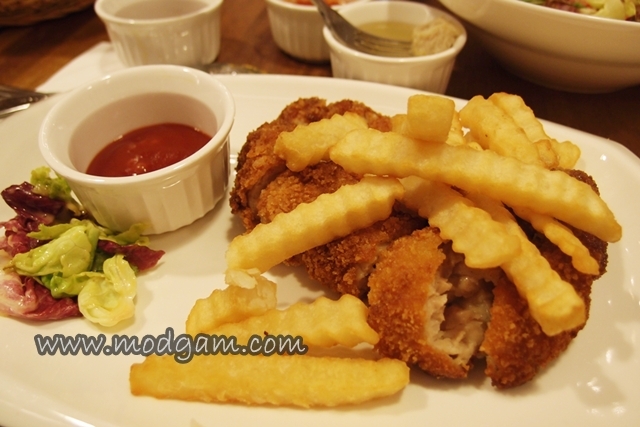 I love this dish for the gravy tasted really thick and yummy! I am very excited when I was told they use ciabatta bread!!! 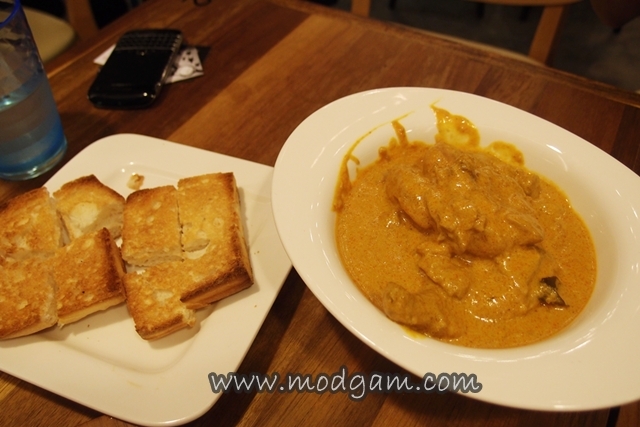 The toasted crunchy ciabatta bread dipped in curry sauce, oooh lalaaa! 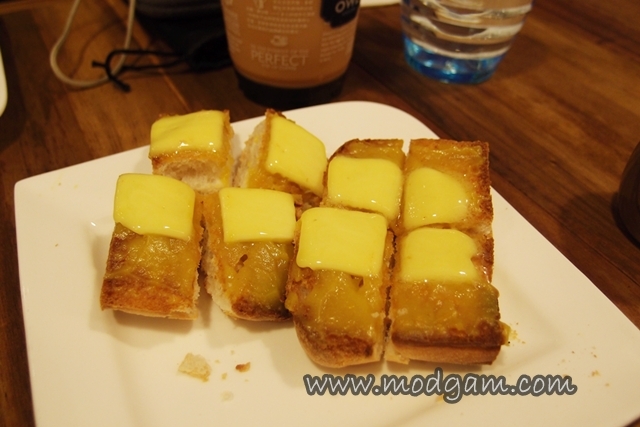 Kaya Butter – delicacy and a favorite among many Singaporeans! Cheese melting onto the toasted ciabatta bread, I LOVE IT! 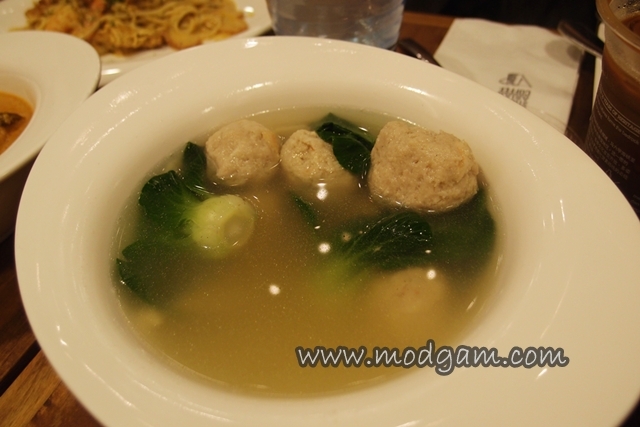 Bawan Kepiting Broth – huge big meatballs but the soup is a little too light for my liking. 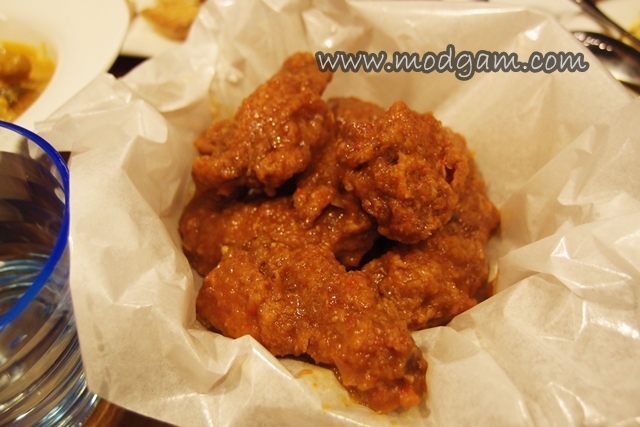 Assam Chicken Wings – zesty marinated chicken wings fried to golden brown and coated with Assam sauce! A must have for all you Assam lovers! 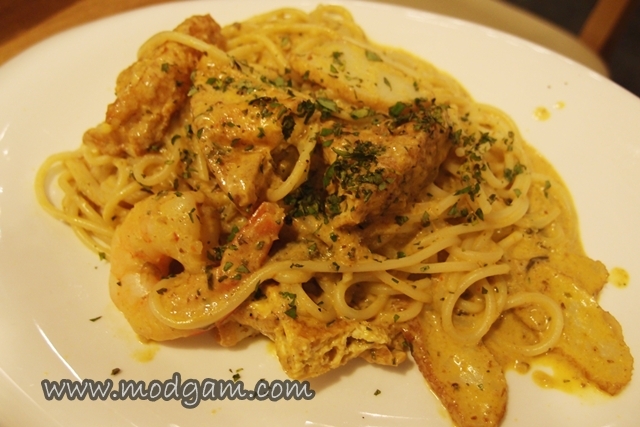 Spaghetti with Laksa Sauce – Spaghetti with creamy Peranakan-style laksa sauce! Tasted superb too. 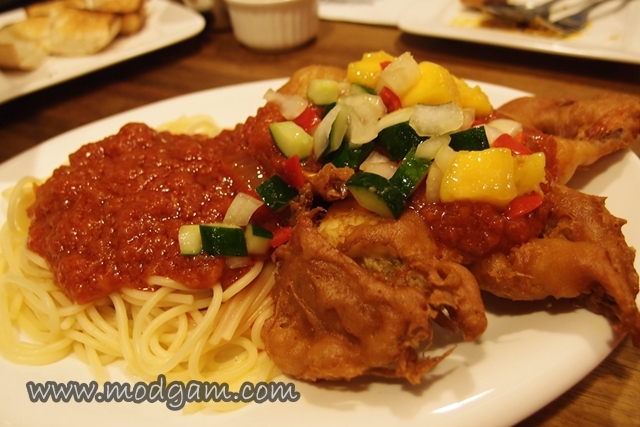 Spaghetti with Soft-shell chilli crab – generous serving of battered fried soft-shell crabs with spaghetti, stir-fried with slightly spicy and sour chilli crab paste. At only S$12.90, its definitely valued for money! 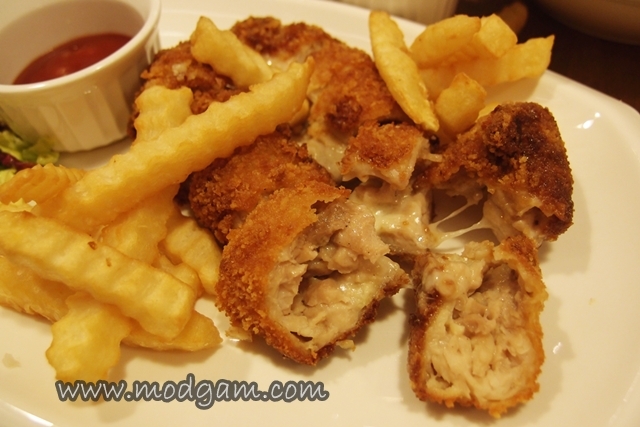 Cheesy Ayam Cutlet – cheese filled chicken meat served with fries and salad. Yums. 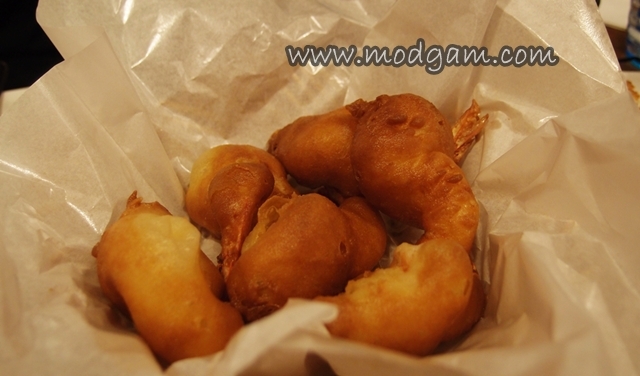 King Prawn Fritters – huge battered fried prawns that are juicy and yummy and served with chef’s speciality dip made from Straits Asian spices. 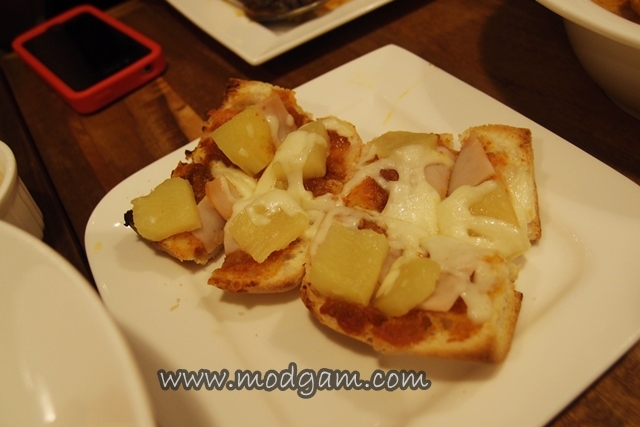 Roti Bakar Assam Nanas – Tamarind sauce topped with ham and pineapple slices, Asian or local version of my all time favorite Hawaiian pizza but served in toasted ciabatta bread with a tinge of spiciness. 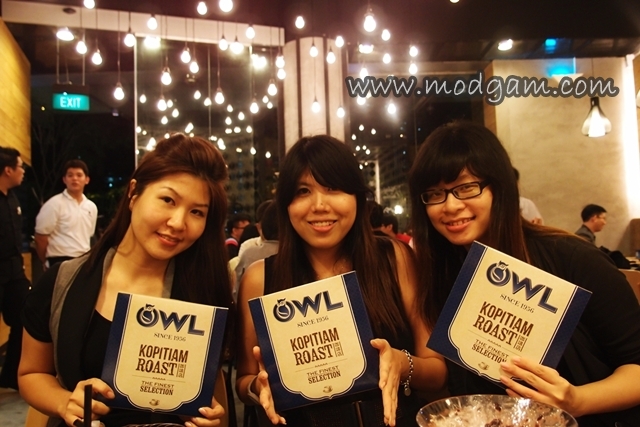 All my girls having a blast thanks to the generous hospitable Owl Cafe! Like MAG always say, no dinner is complete without DESSERTS! 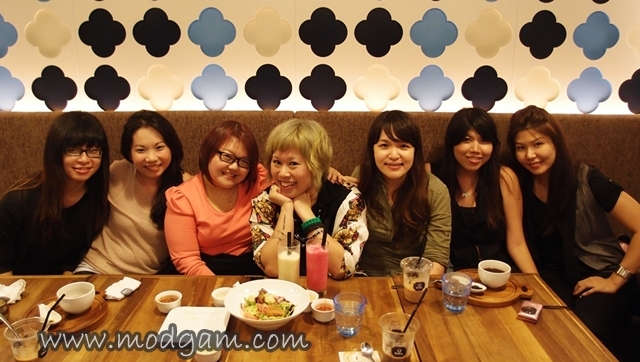 I love food tasting in a group cos we can always order more than one dessert and pass it around the table for sharing! Mag is very very happy! Jagong (Corn) Smoothie – I love eating corns and I “died” the moment I took a sip off this corn smoothie! 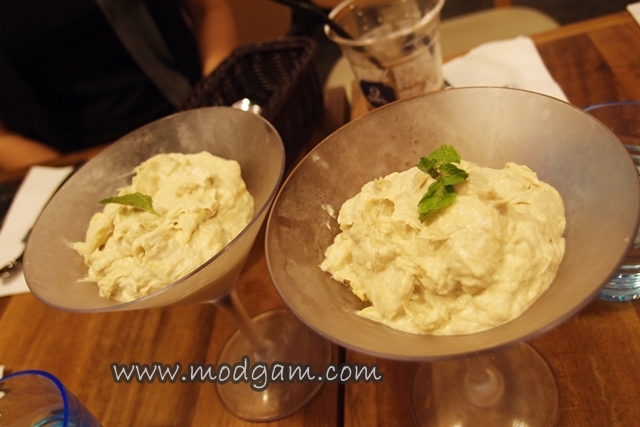 The corn puree is sooooo strong and absolutely delicious!!! 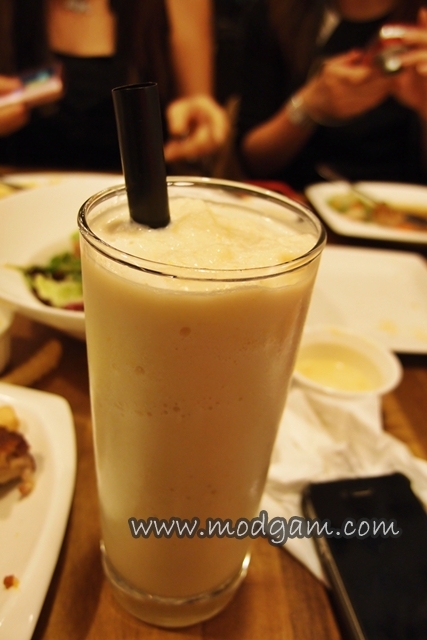 Bandung Smoothie – Bandung is the name of a drink popular in Malaysia and Singapore. 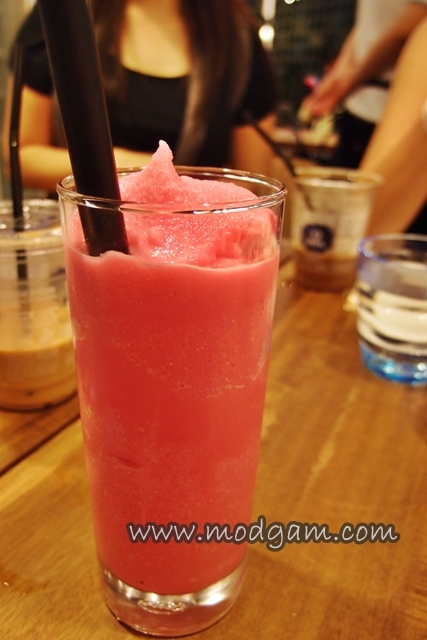 It consists of milk flavoured with rose syrup, one of my all time favorite drink! Sweet and delicious! 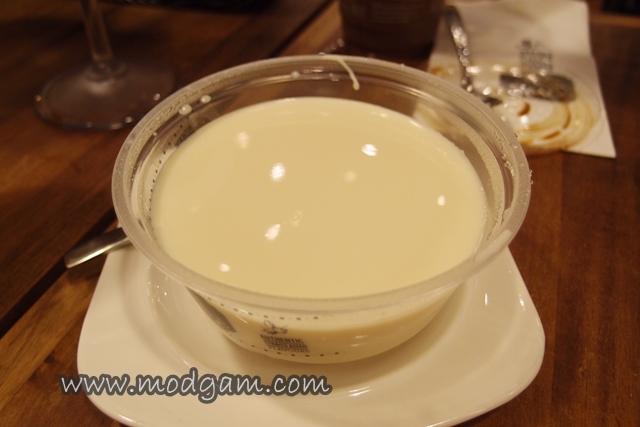 Soya Bean Curd – smooth and tasty. 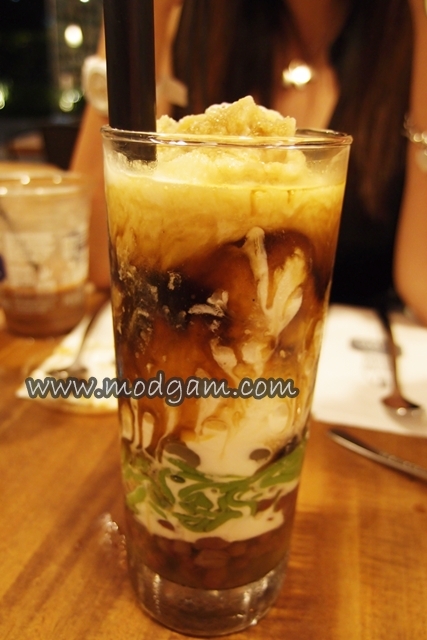 Chendol – another popular dessert here in Singapore and is always nice to consume after your main dish and chill away. 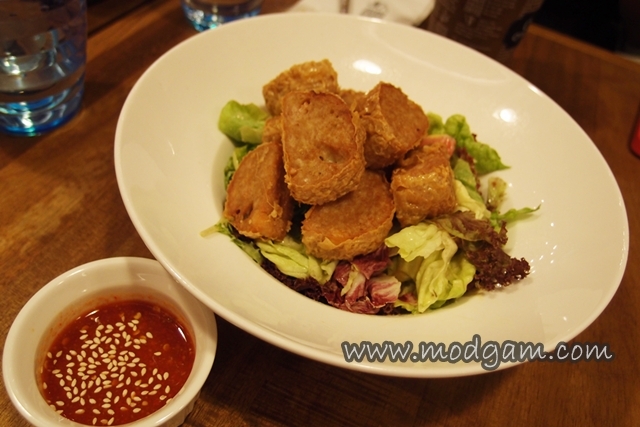 Glory Hitam – Another must try and favorite among the locals. I wasn’t lying when I say its exciting to try fusion food. 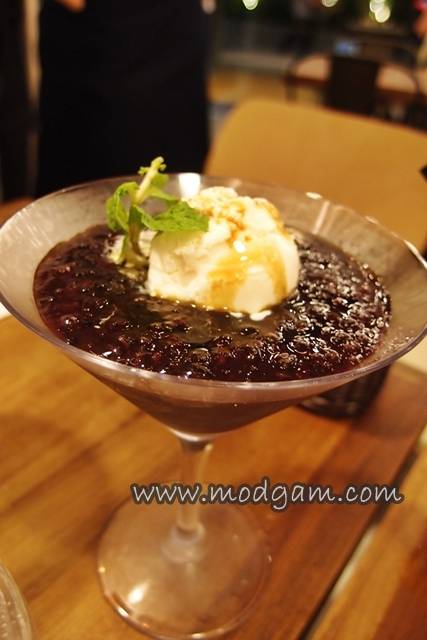 A simple idea like a home-made vanilla ice-cream served together with the Glory Hitam in a martini glass can have such an interesting taste and feel. 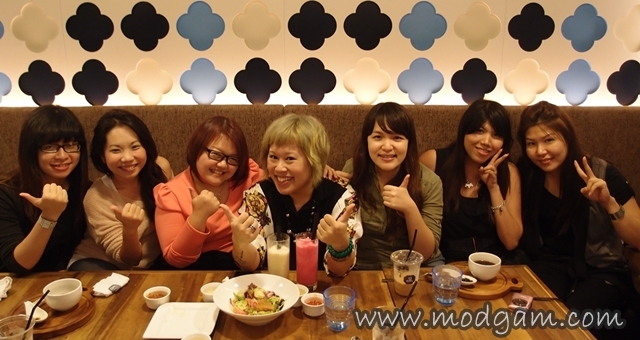 Durian Pengat – A big hit among the girls tonight! Everyone was going yums and couldn’t stop praising the King of Fruits, Mr D24 himself! This is the best of the best among durians and the girls cannot stop gushing over it! All durian lovers HAVE TO TRY this!